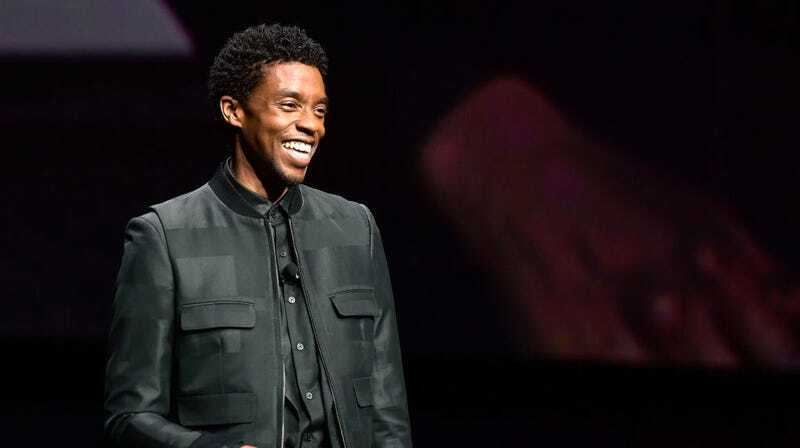 Chadwick Boseman when asked about Endgame, Black Panther 2: "I'm dead"
The Avengers: Endgame premiere is only a few weeks away, meaning we only have a few more weeks of pretending all our favorite, recently-disintegrated characters aren’t definitely coming back to life. Chadwick Boseman, however, is insisting on keeping things close to the vest. At a recent red-carpet event, Access grilled the Black Panther star for details on the next Marvel installment, but he simply shrugged them off, admitting with resignation that he’s still super dead. Even when the interviewer pivoted to questions about the already announced Black Panther 2, which one would expect to feature its title character, Boseman continued to shake his head and repeat, “I’m dead” with unsettling persistence. Celebrities everywhere should take note of this technique. Next time a journalist is pressing you for answers on a topic you’d rather avoid, just inform them that you are dead and, thus, incapable of knowing anything. As Mashable notes, pretty much everyone can learn from Boseman’s commitment to a bit. Chadwick Boseman gave his Best Hero MTV Award to real-life hero James Shaw Jr.